I’ve just been involved in a Cup game in England last night. Albeit it was only a small cup known as the West Riding County Cup. As is the best part of cups, it was a chance for us, the statistical underdogs, to come out and prove our worth against a team that plays higher up in the Egyptianesque sized pyramid of English non-league football. 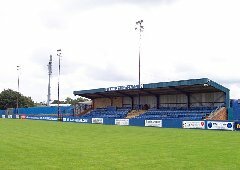 The game was played away at Farsley AFC’s ground “The Throstle’s Nest”. It really wasn’t much of an away game since it is sandwiched in between Leeds and Bradford and thus was probably just as easy for me, and some of the other players, to get to as our home ground. It was our first game in 9 days. This long of a break from games can be an advantage, but also a setback. It’s great because it means that you are more rested than usual. If the other team has played over the weekend and midweek, it means this will be their 3rd game in 6 days. Despite games being a footballers primary enjoyment, playing this often can take a significant amount of sharpness and stamina out of you pretty fast, especially if you are not taking care of yourself. Of course, teams like Man United, Man City, Real Madrid, and particularly AC Milan have top notch facilities where there are staff whose primary job is to make sure your body runs in top gear, year after year. Even then, we hear about players who are being rested because of fatigue. The truth is, playing a full 90 minutes takes quite a bit out of you. Doing it every few days can be even rougher. If you don’t have someone to massage you down and make you personally designed smoothies, it can be even more difficult. So, when you get more than a week-long break in the season this can be quite helpful. At the same time, having too long of a break can also be damaging because you can lose momentum – which we were beginning to build before this break – and you can lose game sharpness. This can be especially true if you don’t train often, as is the case with Albion. The one training session we did have, as I mentioned, did not have full participation and so it lacked a game-like feel overall. Even when you are training consistently, it can be easy to lose that cutting edge that so often separates teams of similar quality. Soooo…..was the break a blessing or a curse? It was a great game for the team! We won 4-1 against a side that plays two divisions ahead of us and on paper were favorites. However, our confidence from the last few games carried through and we were able to get the big win. The break turned out to be a big benefit for us. At the beginning we absorbed pressure and managed to get the first goal against the run of play. Farsley equalized within minutes and remained the more dominant team. Yet we continued to keep the game in front of us and limited the home teams significant chances. This allowed us to again score on the counter. The 1st half ended 2-1. In the second half, we didn’t dominate possession, but were more comfortable as Farsley was unable to sustain the high pressure they put on us at the beginning of the game. We continued to be dangerous when we got the chances going forward. We had many close opportunities including one off of the post. We were finally rewarded when the keeper misread a long ball into the box, which floated over his head, caught the post and went in for the 3rd. The last goal came late in the game when our striker pressured a long ball and forced the keeper to make a mistake and essentially walked the ball into the net. At this point, the game was all but over and we just had to stay tight in the back, which we did. Overall it was a gutsy performance from the team and we showed both our solid defensive work and how dangerous we can be in attack. Farsley suffered from what I like to call “the Barca syndrome”. It’s a problem that many teams have at lower levels of football. I’ve seen it in college, PDL, and even sometimes at the professional level. These teams try to play inverted wingers and high fullbacks, in an effort to play possession based attacking soccer that is modeled after Barcelona As this happens they get too comfortable going forward and lose focus on their defensive shape and responsibilities. Also, they don’t have the work rate off the ball to win it back quickly; which is an integral part of the Barca system. Therefore, when they lose the ball there is less cover and less pressure, which makes these teams susceptible to counter-attack. Albion did a great job of exposing this tonight against Farsley, as three of the goals came off of counter-attacks. While on the other hand, Farsley did not get behind the Albion defense more than once or twice. Even the possession kings, Barcelona, are susceptible to the counter attack, especially with a threat like Ronaldo! Unfortunately, I did not play at all tonight. As disappointed as I was and as ready as I was to play tonight after the cancellation in midweek, I am focusing on the positive result for the team and looking forward to the next game. 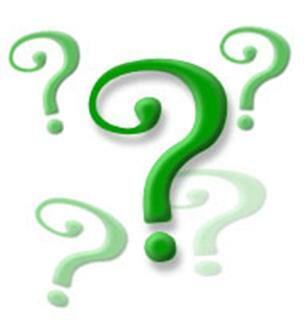 We do not know who our next opponent will be in the WRCC, but I will be sure to update you when we find out. I believe the next round will take place at the beginning of November. Our next league game is away to a team named Knaresborough Town on Saturday. There is no reason that we should not continue our winning streak against them! Let’s hope I can play a bigger part in that game. To find out, check back here! A special shout out and thanks to my Uncle Walter who brought me to the game and sat through the rainy evening…at least he got to see a good game and a number of goals. God Bless and don’t be afraid to dive in Head First!